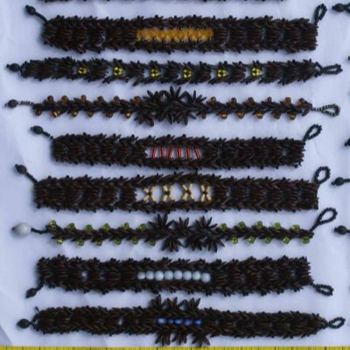 Seed bead ethnic peruvian bracelets. Shipping: by certified post, EMS. Other shipping agent possible by agreement. General information: Given photos are showing samples of products, the actual variety of models is much bigger. Unless if there is no special request, we always try to send as much variety as possible. For most of the products we dont have any minimal limits for purchase, anytime you can buy even just a few units with our online shops, but if you buy more, you get visible discount in prices. Also transportation of bigger number of units usually is cheaper. We provide discount on gross order you make with us, so you may order a small amounts of different products and you still get the best prices. Presented price ranges might be not final, actual current price may depends on different factors, such as on current market conditions and currency exchange rates. If you would like to place an order, or if you have any questions or comments, please send me message.